Northwestern University Professor C. Kirabo Jackson, a FutureEd research advisor, has demonstrated in several studies that increases in education spending can lead to improved achievement. A recent study explores whether the opposite is true: Do spending cuts lead to declines in test scores and graduation rates? To test this, he and researcher partners Cora Wigger and Heyu Xiong looked at states that saw sharp declines in state spending during the Great Recession. 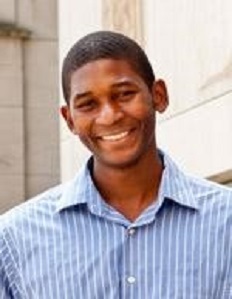 FutureEd editorial director Phyllis Jordan recently talked with Jackson about his research. So tell me what you found. What’s the headline? The short headline is that school spending cuts do matter; if you cut education spending, student outcomes will deteriorate. To give a longer headline, there's a good amount of recent research showing that when you give public schools or districts larger budgets, their students tend to do better. Is the opposite necessarily true, that when you cut money, you cut achievement? That was the motivation for the study—is that symmetric? And in some sense, there are a lot of reasons why it might not be. You look at studies of school districts that have moved from a five-day school week to a four-day week, and some of those studies have found that there are actually no effects on student outcome. You might think, well if you could save money and student outcomes don't suffer, that means that when push comes to shove, school districts are able to find ways trim the fat and make do with less. There are also studies showing that when times are tight, school districts may get rid of teachers who have more years of experience and advanced degrees because they're more expensive. And there is research showing that these teacher characteristics do not tend to be strongly associated with better outcomes. So you might think, in light of these studies, school spending cuts may not actually hurt student outcomes very much. But that's not what you found. That’s not what we found. Our two main outcomes were test scores measured on the NAEP exam, which is known as the nation's report card. And we also look at graduation rates. And the basic finding was that if you can cut school spending by 10 percent, roughly speaking, that NAEP scores tended to fall by about 7 percent of a standard deviation, which to put that into perspective, is the effect of taking a school where every teacher is sort of the average teacher and having every teacher be somewhere around the 90th percentile. So it's a pretty big effect from a policy perspective. And in terms of graduation rates? Basically, what we found is that if you take an individual who's exposed to a 10 percent spending cut across all four of their high school years—so it's not just a one-year spending cut, it's a spending cut experienced in the 9th, 10th, 11th and 12th grade—cohorts that were exposed to that kind of spending cut saw their graduation rates fall between two and three percentage points. The impacts of the Great Recession have largely faded now. Have these impacts on education faded, as well? It's true that many states that reduced their funding levels have now recovered to what they looked like in, say, 2007 or 2008. So you might think, "Well, the budget's recovered and that's it, we're fine." But when you look at the graduation rate, what we're basically finding is those kids who were in school during the years when spending dipped, their education attainment has fallen. And you're going to expect to see these students are going to have reduced earnings and probably become more susceptible to recessions if they experience recessions during their working-age years. So these are real permanent effects that can't be undone even though spending levels have returned to where they are now. For this study you looked at test scores over a period of 2002 to 2015. That's a period that corresponded with a lot of education reform. How did you separate out other aspects that could affect achievement? The tricky thing about this paper was to isolate the effect of school spending from all this other stuff. We relied on a fact that's been well documented: that states relying on either state sales taxes or state income taxes to fund K-12 education were the ones that saw the greatest reduction in school spending between 2008 and 2015. This factor is pretty much unrelated to other changes that happen in these states or other policies that were implemented at that time. And how did you separate these impacts from other ill effects of a recession? You have parents losing jobs, and kids moving a lot, going hungry, other bad things that affect kids' education. This is where this relationship comes in handy. So you have two states, perhaps both experienced a 3 percent reduction in the employment rate, or something of that nature. One of those states funded their public schools very heavily using state resources, say 80 percent of funding. The other had 50 percent of its K-12 spending coming from state sources. The one at the 80 percent level saw a much larger reduction in K-12 spending. I understand you also looked at private schools, which would not have been affected by these state spending cuts. We looked at private schools as a way to ensure that our effects are not driven by exactly those factors we talked about. We found no effect on private school test scores. We only saw the effect on public school test scores and that's another way to ensure that what we're showing you is due to state spending cuts. Were you able to tell how school districts cut their spending and whether any kind of cuts were more related to reductions? What we found, interestingly, was that what they seemed to cut the most from was construction spending. Essentially, construction accounts for about 7 percent of a school's budget but it accounted for almost half of the reduced spending. But they couldn't get there just with the construction spending. What that meant was the cut to core operational spending was smaller than it would have been if they hadn't disproportionally cut away from construction. So we expected to see smaller effects on test scores and graduation rates because, basically, the things that were being cut were things that we would not have necessarily have a direct immediate impact on student test scores. However, when we looked overall, we say places that were hardest hit with spending reductions did experience reduced test scores and reduced graduation rates. Did you find academic subjects were affected equally by the funding cuts? The impacts were highest in math. This is a pretty consistent finding in most education research. Interventions that happen within schools tend to have the biggest effect on math scores and a smaller effect on reading. Knowing this, what should we do to protect schools and students going forward? There are going to be recessions and there are going to be cuts. Is there any answer? One of the things that did appear to mitigate the effects of the recession on school budgets was The American Recovery and Reinvestment Act. There was actually a large infusion of money that came from federal sources to offset the drop in spending that occurred at the state level. And that did manage to hold school spending steady for a bit. So I think the clear policy directive is that throwing in some sort of temporary money in to keep public school budgets from dropping is one way to offset these ill effects. The other thing I would add is that this is just another study among a growing literature that is showing that school spending does matter. Either increases or decreases, school spending does matter. We can put that debate to rest.